In 2018, average dispensary sales around the highest holiday not only increased by 51%, they also topped 2017’s 420 numbers by a whopping 30%. Between Canada’s first official 420 under new recreational laws, cannabis being legal in more US jurisdictions, and the holiday landing on a Saturday, this year’s 420 is set to be the biggest on record. How ready are you, your staff and your dispensary, more ? 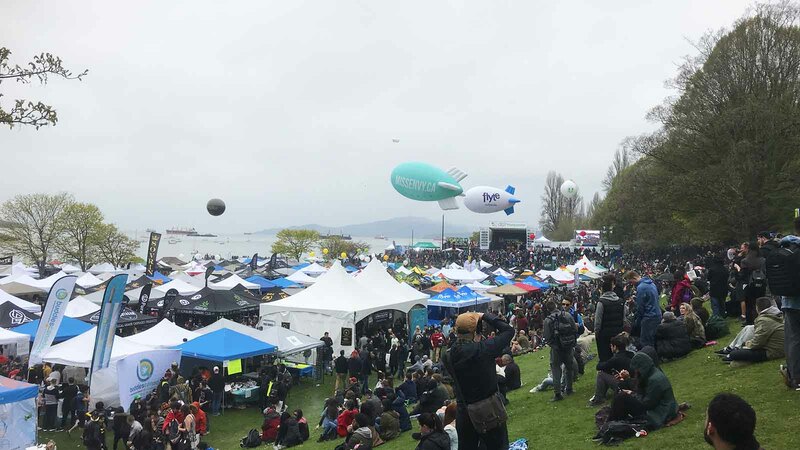 With so many events competing for the attention of cannabis revelers, the question of how to boost sales on 420 ultimately comes down to marketing. Create buzz by posting engaging content days before the event, like dropping promotional teasers on your social media or offering customers a chance to win a prize when they RSVP. Customers automatically expect deals on 420, but it’s the creative marketing activities that surpass their expectations enough to keep them coming back year round. Remember to check the laws in your state or province to make sure your activities are in compliance. It’s crucial to ensure days in advance that the technology, systems and processes used in your shop are ready for higher traffic than usual. Double-checking that your tech is in good working order, making adjustments to enhance store flow, and ensuring your dispensary POS is equipped with offline mode and other key features make managing higher sales volume this time of year much easier. Making strategic merchandising decisions and offering unique cannabis retail holiday promotions help dispensary owners move through inventory while delivering value to customers. Looking critically at your product assortment and planning ahead by organizing the stockroom before big shipments arrive serve both customers and staff alike. Implementing special deals and activities unique to the event sells merchandise while delivering an unforgettable 420 experience to your customers. 420 is on a Saturday this year which means all hands will be on deck the entire weekend. In the days leading up to the big event, it’s crucial that dispensary owners make sure everyone on staff is up to speed on everything, from their individual responsibilities to how to use the store’s systems and technology to the fullest. Offer trainings and maintain open communication so that your employees have everything they need to succeed. Immediately following the weekend, schedule time to review the entire 420 experience with your team. Come up with questions and encourage your staff to share their thoughts on what went well, what didn’t, customer feedback, inventory issues, the competition - everything. Look for key takeaways to apply to your business and use it as guidance for next year – after all, it’s never too early to start planning the next 420. Ready to be a 420 superhero? We’re here to help you flex your marketing muscles this April 20 with Cova’s ultimate guide “How to Nail 420 This Year: 5 Steps to Higher Sales and Happier Customers.” It’s free and you’ll thank us later!